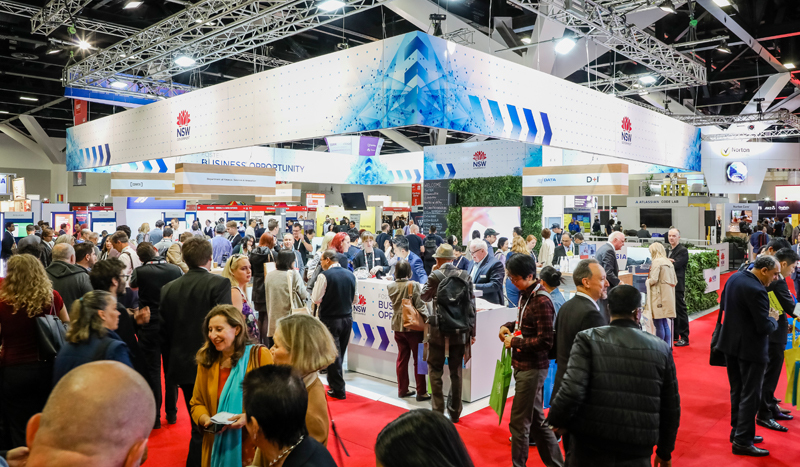 As the official partner of CeBIT Australia 2018, the NSW Government was thrilled to welcome more than 15,000 visitors to this year’s event, held at the International Convention Centre Sydney from 15­–17 May. 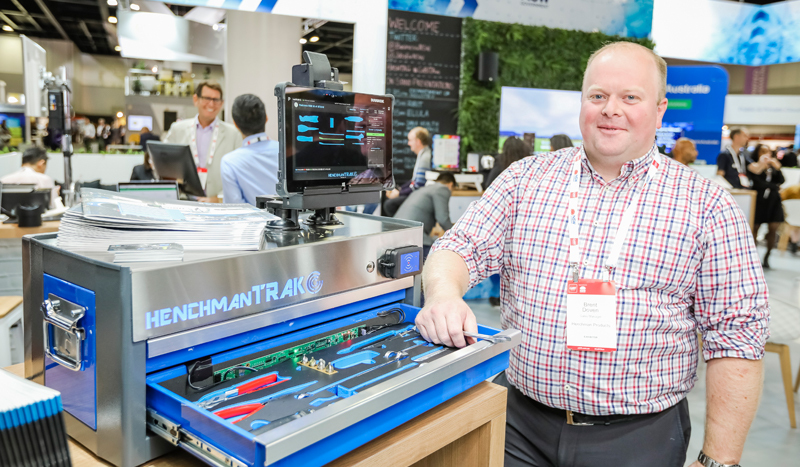 The largest business technology event in the Asia-Pacific, CeBIT proved an exciting platform for more than 300 exhibitors that attended from over 30 countries – including the eight tech companies and 16 startups that featured on the NSW Government’s official stands. The event was also an opportunity to showcase the range of programs and services the NSW Government offers to support NSW startups and SMEs. Need help to start, scale-up or innovate your business? These NSW Government programs and services are just the start. From an award-winning industrial design studio that specialises in devices for the medical, agricultural and consumer industries, to companies using artificial intelligence and machine learning to develop business-changing technologies, these eight companies are leading their fields. They joined representatives from the Department of Industry, the Department of Finance, Services and Innovation (DFSI) and Destination NSW. 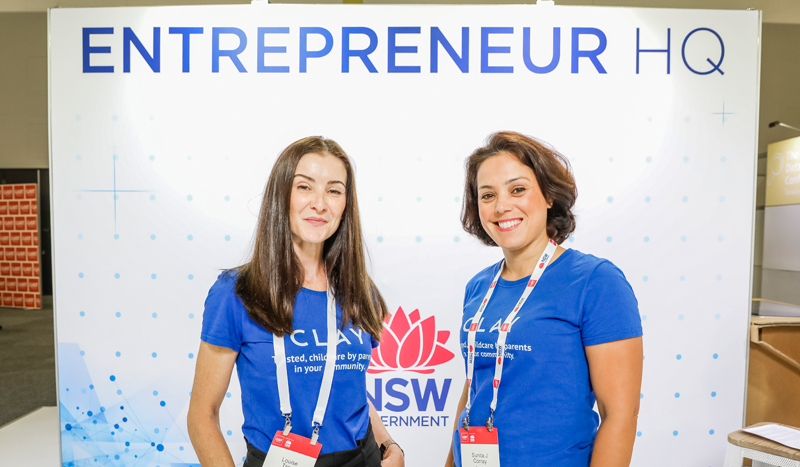 Over the three days, these 16 innovative NSW-based startups represented their unique business ideas at the NSW Government’s startup-centric stand Entrepreneur HQ. 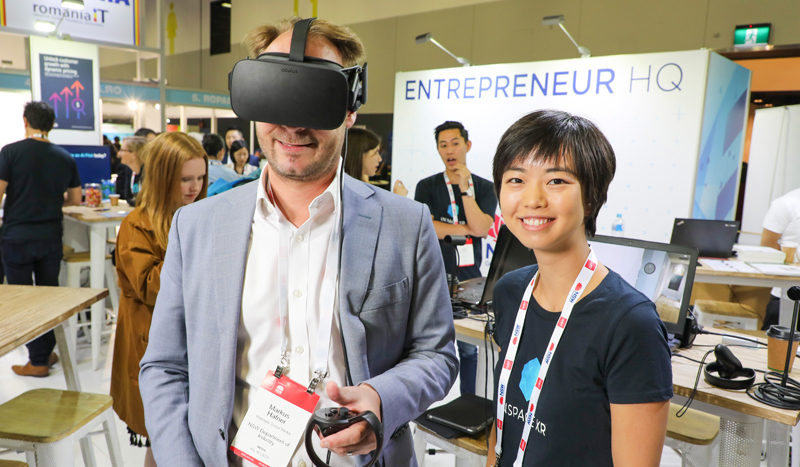 The stand was hosted by Jobs for NSW, with representatives from DFSI and the Sydney Startup Hub. 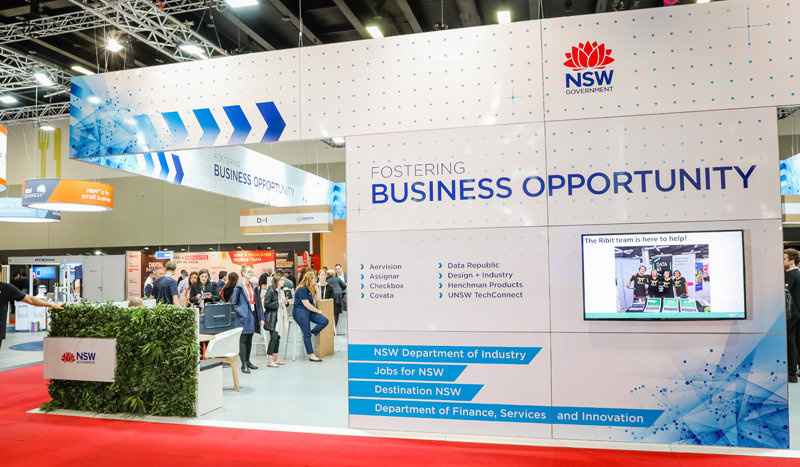 Jobs for NSW provides financial support to startups and emerging and fast-growth small to medium enterprises to scale and grow new jobs in NSW. 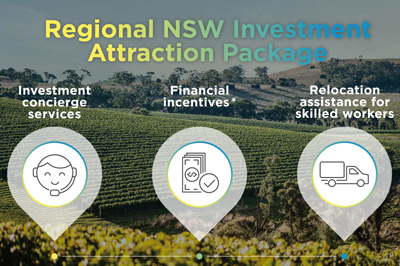 With a $190 million fund to invest over four years, Jobs for NSW offers a suite of financial products including grants, loans and loan guarantees to support industries and entrepreneurial businesses that generate sustainable jobs across the state. The Sydney Startup Hub is a globally significant innovation centre that cements the city's role as Australia's startup capital. It’s the first of its kind in Australia and is unmatched in the southern hemisphere in terms of its size and density. It offers more than 17,000 sqm across 11 floors, all under one roof in a convenient CBD location. In addition to approximately 2,500 residents, it will play host to thousands more via its community and events spaces, collaborative workspaces and a Regional Landing Pad. The NSW Government has committed $25 million over four years to provide 25,000 scholarships worth $1,000 each to students undertaking eligible qualifications in science, mathematics, engineering or technology related fields. The Jobs of Tomorrow scholarships program will run from 1 January 2016 to 31 December 2019. Funding ground-breaking technology through the Breakthrough Research Fund, is one way the NSW Government is supporting the expansion of the state’s information and communication technology sector. This includes a $26 million investment in a quantum computing technology initiative being led by the University of NSW.